Jocelyne Lamoureux-Davidson and Monique Lamoureux-Morando perhaps have more in common than the average set of siblings. 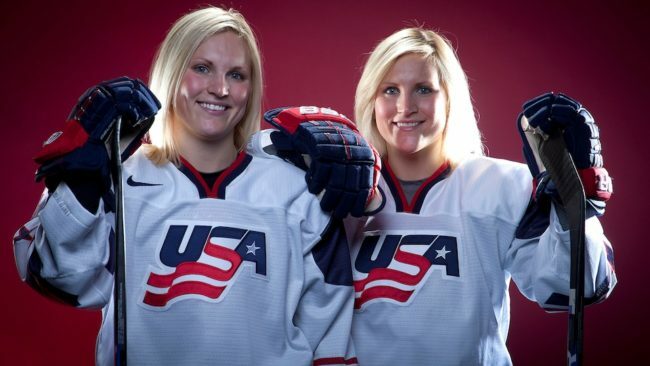 Beyond being twin sisters, the pair are both Olympic Gold Medalist hockey players — as well as fierce advocates for gender equality. “We’re really passionate about trying to make a positive impact on women, on young boys and girls in the younger generation,” Lamoureux-Davidson said in a recent chat with Fairygodboss. That dedication to making an impact has taken center stage not just in the rink, but, famously, behind the scenes of USA Hockey as well. 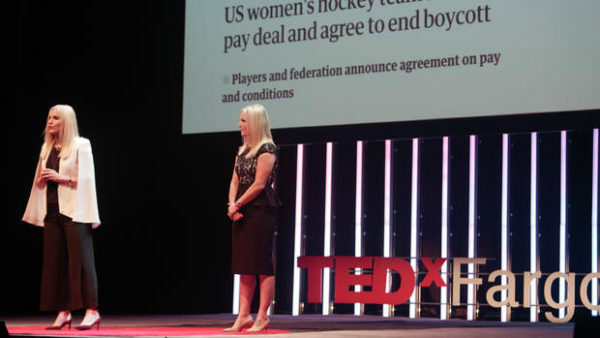 In March of last year, the twins and their teammates staged a boycott against the International Ice Hockey Federation world championship, seeking equal treatment with the U.S. men’s hockey team. After months of negotiating, the efforts of the team — who then ranked as No. 1 in the world, yet barely received a living wage — had come to a standstill. After announcing the boycott, progress was expedited. “Within a two-week span, we were able to accomplish substantially more than what we were able to accomplish in the previous year and a half. We were able to be heard,” she said. Today, the sisters are continuing with their activist efforts as the new ambassadors and spokespeople for Comcast’s Corporate Values Initiative — a program focused on volunteerism and service, improved internet access and digital literacy training for low-income Americans, education and mentorship for young people, and a commitment to diversity and inclusion in the workplace, according to Comcast. “Comcast’s Corporate Values Initiative really aligns with what we want to accomplish outside of hockey, and that’s being a positive change in many different scenarios but especially in gender equity, equal opportunity, and inclusion,” Lamoureux-Davidson said. Comcast’s Vice President and Chief Diversity Officer David Cohen said the company is “very proud” of the initiative. And knowing that you deserve that change, Lamoureux-Davidson added, is paramount to achieving it. A version of this post previously appeared on Fairygodboss, a leading career community that helps women get the inside scoop on pay, corporate culture, benefits, and work flexibility. Founded in 2015, Fairygodboss offers company ratings, job listings, discussion boards, and career advice.